The aircraft didn’t fly into a thunderstorm, in fact the weather in the area was relatively calm. The fact that there wasn’t a mayday indicates either instantaneous incapacitation of the pilots, or simply a radio failure. 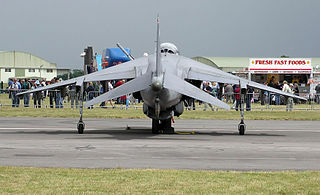 The fact the aircraft appeared to turn back indicates a likely attempt to control the aircraft – modern airliners have dihedral wing configurations – meaning the wings pitch up from the horizontal – this has the benefit of giving the wings clearance from the ground for engines, landing gear and for choppy landings. But dihedral wings also have the added benefit of being naturally stable (which is why fighter jets and large military cargo aircraft have anhedral wings – this makes them slightly less stable but far more nimble, useful when you’re being shot at…). A Boeing 777 without power would likely continue on its trajectory in a flat manner. But what can cause a Boeing 777 to have a total system failure, yet still be (somewhat) controllable and cause it to disappear? Let’s start with the fact that there was a total electrical failure. That would kill the engines too because they use a system called FADEC (Full-Authority Digital Engine Control). FADEC is used primarily to stop the pilots from damaging the engines, by throttling up too fast or red-lining them. But FADEC has its issues too – a failure of the FADEC means a failure of the engine(s). So if they got into that situation (and I’ll explain my thoughts on how in a moment), where did they go? And how did the pilots manage to control Boeing’s first Fly-by-Wire aircraft with failed electronics? The pilots of this aircraft were very experienced. The Captain had over 18,000 hours of flying time and his 27-year-old co-pilot had 2,763 hours. So in the situation where full electrical failure happened they would know that Boeing had built the aircraft so that there were still a few parts of the control surfaces controllable mechanically (with a bit of man-power). Spoiler panels 4 and 11, and the alternate stablizer pitch trim (controlling the horizontal stablizer on the tail) are all actuated without electricity. So this explains how they would have been able to find themselves in a pitch-black cockpit but with the ability to wrench the plane around the skies. Naturally without the air conditioning system (the “PACS”) the plane would begin to depressurise, but it wouldn’t be explosive – the pilots (and passengers) would have time to don oxygen masks – unless the passenger’s mask release system is electrically powered (which I think it probably is…). There are self-contained oxygen masks throughout the cabin too. So, in the pitch black, trying to control the aircraft, diving it towards the sea to get to around 10,000ft where the air is breathable again, with no points of reference, and no engine power, let’s say they did all that, what now? 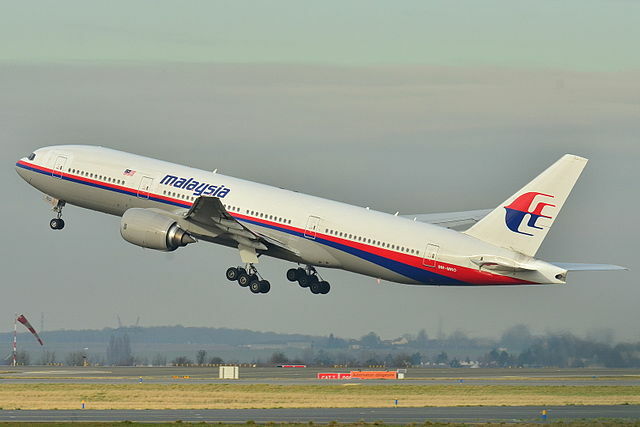 They were at 35,000ft, with a pressurised cabin they could have glided to land back at Kuala Lumpur. But without pressure, and the need to get to 10,000ft ASAP, they cost themselves that precious altitude and now they must ditch in the sea. The pilots pull off a heroic landing on water, but the electrically operated systems that close the openings on the outside of the aircraft (like the outflow valves) aren’t working, so the aircraft, tragically, fills up with water and sinks in one piece in the shallow waters of the Gulf of Thailand. No debris. No “pingers” from the black boxes (total electrical failure remember? ), no emergency locator beacon. Just a sunken, perfectly preserved aircraft. But What Happened to the Electricity? OK, this is where it gets slightly weird, but it fits. The only way to completely incapacitate the multi-redundant, isolated systems of a Boeing 777, and also the beacons and black box signals, is with an electromagnetic pulse. EMPs fry active electrical circuits without prejudice. Everything, gone in a flash. No radios, no lights, no black box recorders, no FADEC, no fuel pumps, no electrical instruments. EMPs are the secondary problem after a nuclear explosion (the first being the explosion), but there are ways of generating EMP blasts without destroying and radiating everything around it. Where did the EMP come from? That’s the weird bit. I don’t know. But it’s likely military in origin. The USA, for example, has a top secret military space shuttle that has been orbiting the earth since 11th December 2012. It wouldn’t be the first time the US military has shot down a passenger aircraft. (You knew about Iran Air 655 didn’t you?). But it’s pretty unlikely. After the NSA spying spectacle, the US government doesn’t need the bad press right now. China may be the only other possibility, they have their own space station now. With the X-37B floating around the final frontier, it makes sense that China would try to protect itself. It’s not a huge stretch to imagine the weaponisation of space. But with most of the passengers being of Chinese origin, perhaps that’s unlikely too. Perhaps there’s somebody else is out there with an EMP weapon pointed at the skies. Now there’s a very scary thought. Really? A Giant Space Ray Gun? Do you have a better idea? As Sherlock Holmes said, “when you have eliminated the impossible, whatever remains, however improbable, must be the truth.” I wait with baited breath. I just want to add that this is a tragedy, whatever the result. I know I’ve slipped into a little bit of a humorous tone in this article, particularly toward the end, but it is self-mocking and an attempt to relieve a little bit of the horrors around the event. I hope I haven’t offended anyone. My thoughts and prayers are with the families and friends of all on board MH370.